It is known that diamonds are a woman's best friend. Before choosing a friend, you need to know the person, isn't it! In the same way, before selecting the perfect diamond, you need to be familiar with its properties. While buying a diamond, it is very easy to get carried away. So, the best bet would be to keep certain things in mind, before swooping down on the jewelry shop. Remember, diamonds are one of the most expensive stones and this is the only reason you should leave no stone unturned, to ensure that you are buying the perfect one!! Properly gauge the diamond in the four C scale, before you make the choice. Keep in mind that a poor diamond is one that has less fire and brilliance, therefore looks more like a piece of glass. In the following lines, we have provided some more tips on how to choose a diamond. Specifying the budget right before setting out of the home would be an ideal step to notch the best bet, when it comes to buying diamonds. 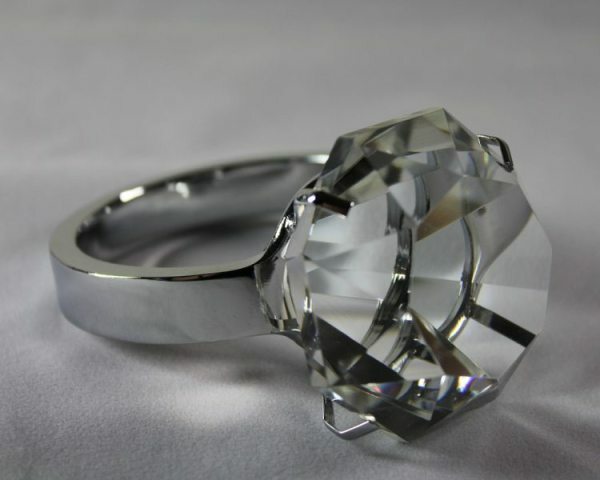 This would allow you to focus on the kind of diamonds available within your price range. Also, setting the budget makes it simpler for the shopkeeper to help you secure the best deal. Though the sparkling shine of the diamonds would surely allure you, it is only you, who can decide what amount is comfortable. Cut is the first of the four C's you need to keep into consideration, before buying the diamond. The 'cut' in a diamond makes best use of light, reflecting it from one facet to another and finally dispersing it through the top of the stone. Remember, if the cut is a deep one, light escapes through the opposite side of the pavilion and if the cut is too shallow, light escapes through the pavilion before it can be reflected. So, make sure that the diamond you buy has been cut correctly. The six most popular cuts are brilliant, marquise, pear, emerald, oval and heart. For those who didn't know, let us tell you that diamonds are available in a range of colors. Right from faint yellow and brown to pink, blue and green, there are innumerous colors in which diamonds are available. However, the best color of a diamond is simply 'colorless'. A colorless diamond allows light to pass better, resulting in it being dispersed as the color of the rainbow. Remember, there is only a minute difference between colorless and colored diamonds and only trained personnel can mark the tints. You must know that even the purest and brightest of all diamonds have certain natural impurities, inclusions and blemishes. All diamonds are rated on the standardized industry scale, the parameters being FL (flawless) to 13 (heavily blemished). Using a 10-power magnifying glass, one can judge a diamond's clarity, but only a trained eye can bring out the flaws. Most diamonds have inclusions, which interfere with the light passing through the diamond, thereby inflicting the brilliance. Remember, the fewer the inclusions, the more beautiful a diamond will be. Carat refers to the standard weight of the diamond and not the size. One carat is equal to 0.200 grams. A heavy weighted diamond is what most of us crave for, but remember, while buying a high carat diamond; you don't have to compromise on the other three C's. Large diamonds are rare. Remember, though two diamonds have equal weights, there can still be a huge difference in their properties, depending on clarity, cut and color.